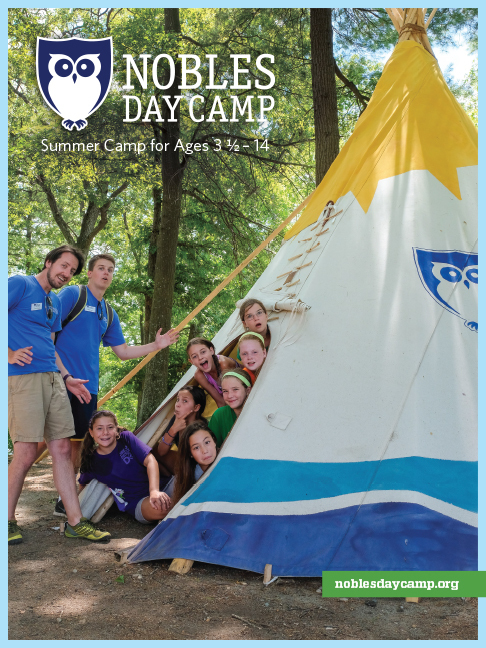 Nobles Day Camp, founded in 1948, was experiencing more and more competition. 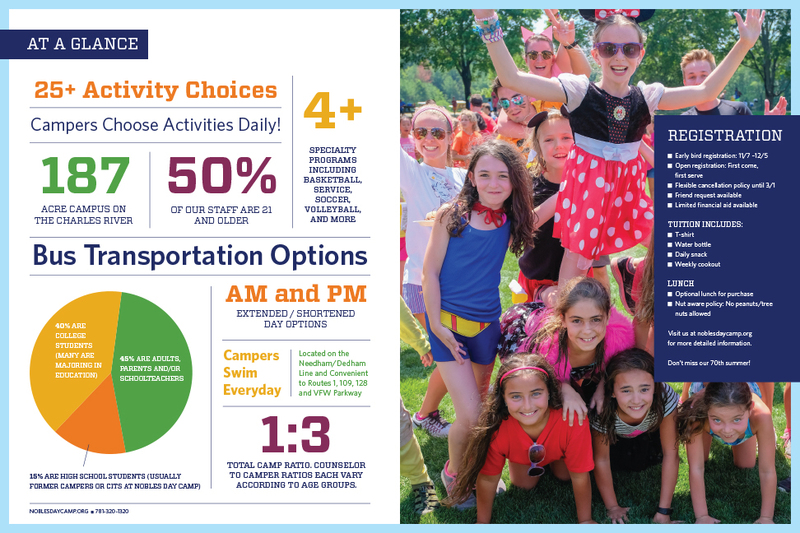 In order to stand out from competitors, they needed to clearly translate their unique experience to prospective families as well as effectively communicate during the summer with campers’ families. The previous camp logo was a pair of owls, in honor of the day camp’s founders, Grandin Wise and George K. Bird. During our visit, we spotted lots of owl art created by campers over the years—clearly a meaningful symbol. 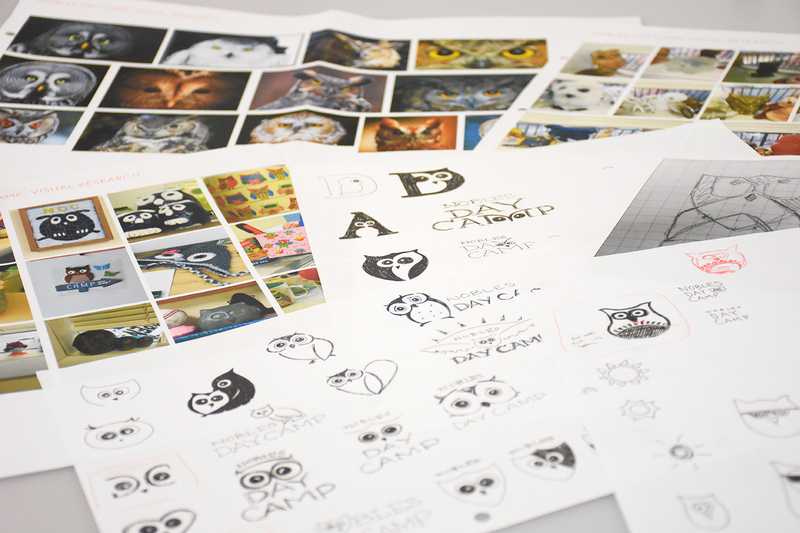 This discovery, along with the camp’s long history, informed the decision to keep an owl as part of the redesigned identity. Along with honoring the beloved mascot, we felt it was important to incorporate the host school’s shield in the new logo. Another key factor was that the final mark would need to appeal to boys and girls ages three to 18. The end result is a friendly shield-shaped owl. The identity standards included an extension of the color and type palette we developed for Nobles Magazine. Another objective for the project was to rethink the camp’s communications system. 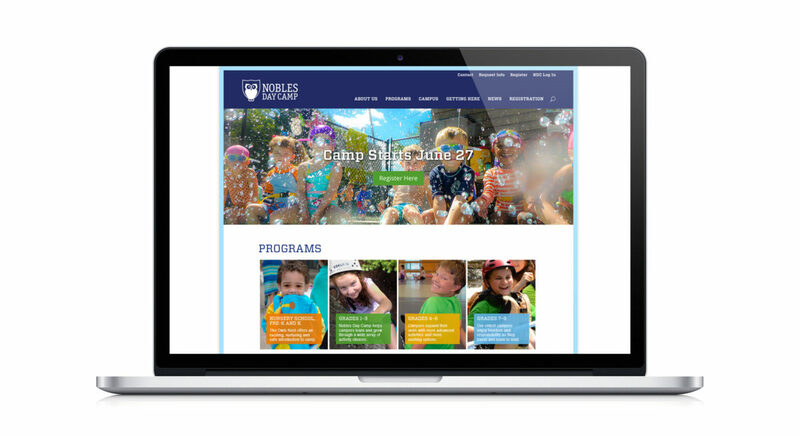 Research showed that parents preferred to get their information from the camp’s website over the comprehensive printed brochure. 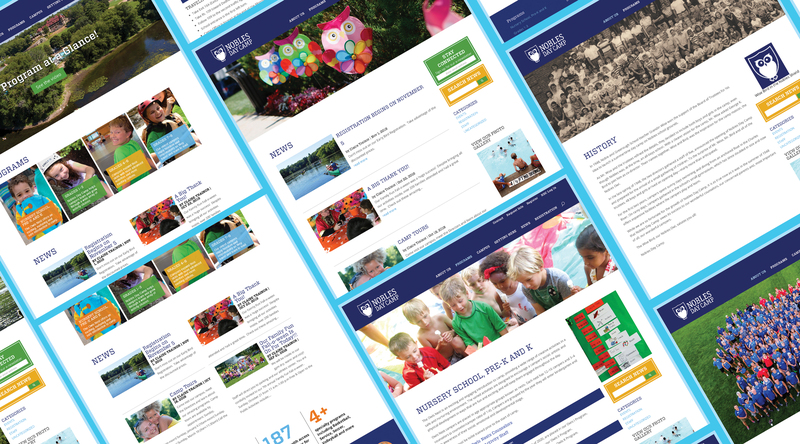 We designed a responsive, graphic, easy to navigate website that delivers content year-round. To complement the website, we created a scaled back brochure highlighting key selling points, and a series of coordinating business cards. 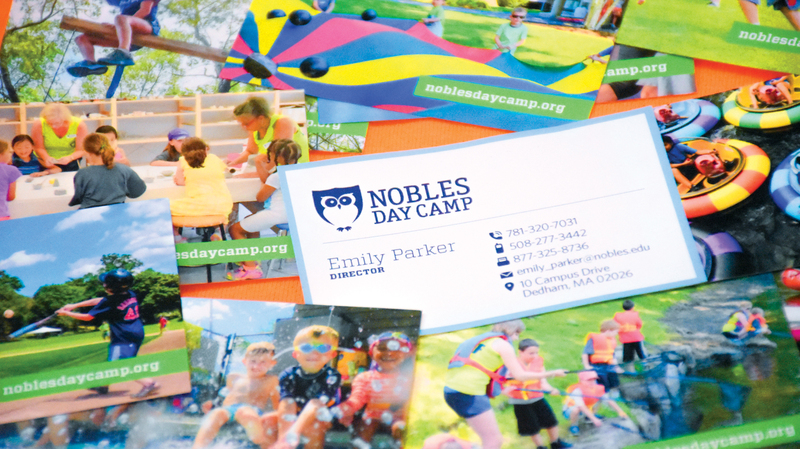 Each card includes a different photo from the camp, twelve in all, making the business card a collector’s item. When the campers arrive they receive a branded t-shirt, water bottle, and backpack as keepsakes. The material colors selected were based on the new color palette, with the new logo mark displayed in the school’s signature blue hue. In addition, the achievement buttons are an iconic system relating to the new, bold logo.